The book Cunningham's Manual Practical Anatomy Volume 1 comes in three volumes. 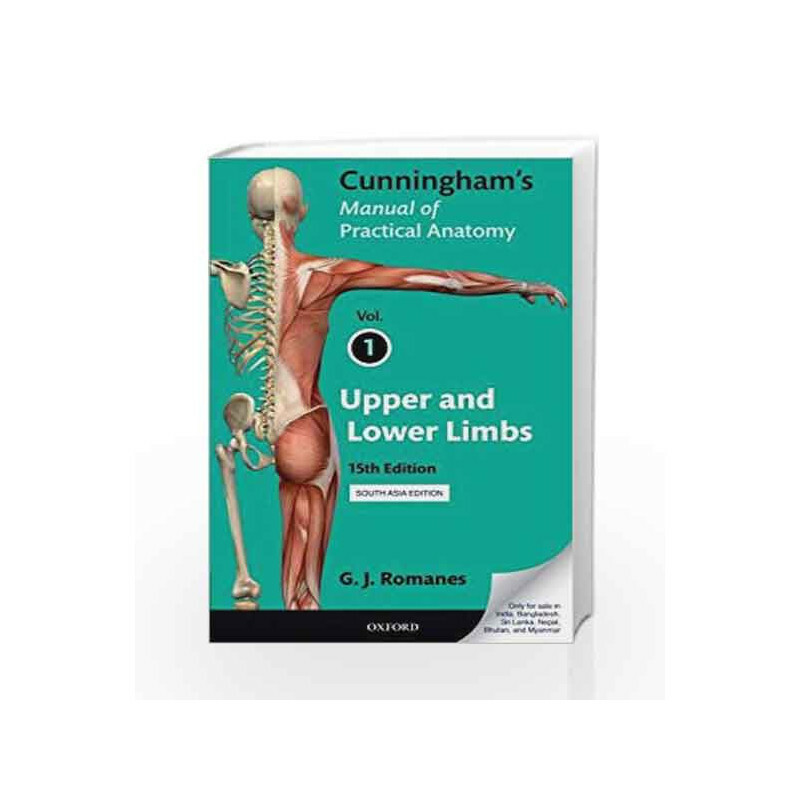 The first volume deals with the anatomy of the upper and lower limbs. The second edition of this volume was published by the Oxford University Press in 1982. It is supposed to be a reproduction of another book that was published before 1923 and is not available now. The book contains exclusive details of human anatomy and a dissection guide.Available in paperback format, this helpful has been rearranged and redesigned in a new format to make it more accessible to aspiring medical students. In this new edition, the practical elements of the dissection guide have been separately dealt with from the basic text. This helps in understanding the text along with the practical aspects easily, and the methods used to explain every part of the dissection help students to grasp the matter more distinctively.A detailed study has also been included on organ genesis, embryology, and congenital malformations that are of great clinical significance. The new techniques of imaging and diagnostics like CT scanning have also been explained vividly for clear conception.Cunningham's Manual Practical Anatomy Volume 1 is a unique edition with expanded introductions on various topics that are discussed in the text along with detail explanation that will surely help students to find answers to all their questions. 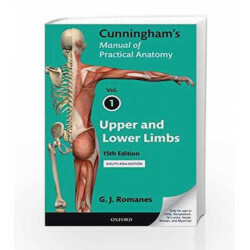 Key Features: This improved edition offers insight to the topics on the anatomy of the upper and lower limbs, which are the key topics of Volume 1. Separation of the text from the dissection guide with illustrations and highlighting of key terms. The book is complete by itself as it includes features like explanation of the new diagnostic techniques that are useful to understand the body structures. Cunningham's Manual Practice Anatomy - Vol. 1 Book is not for reading online or for free download in PDF or eBook format. Table of Contents,Index,Syllabus,summary and image of Cunningham's Manual Practice Anatomy - Vol. 1 book may be of a different edition or of the same title.